Home / Opinion / Is she your wife or personal property? Is she your wife or personal property? At this age and time, it beats my imagination to think of the fact that our Nigerian men still treat their wives like pieces of rag simply because they paid the women’s bride price or on the pride that men are the head of the house. You complain about the fact that she does not respect you as her husband, but please the question is, do you respect her or you just see her as one of your acquired properties? They say respect is reciprocal! It is the way a woman is treated that determines what she eventually become. This is why some men scream it loud that their wives have become the monsters in their lives. A woman can make or mar you. How many times in a month do you take your wife out for fun? Even if you say “I am not the outing type”… then who is? She is not a TV set that is always left at home. Do you care about what she thinks about? There is always a common situation men do not want to happen in their marriages: another man taking their wives out! You don’t take her out, instead you take another girl out. You wouldn’t like it if she cheats on you but you would go about looking for your daughter’s age to take to the hotel room. The truth is there are some men who for years, have never told their wives “I love you” not to talk of complimenting her looks. Such women may in one way or the other become highly gullibly vulnerable. Any slight compliments outside might trigger her spine and tickle her female being. These are some of things many Nigerian wives are currently going through. 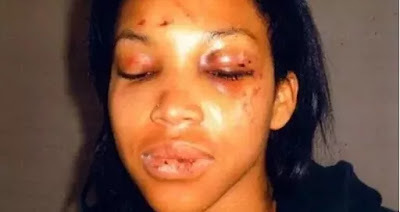 Some are even beaten up for either complaining about their husband’s wrongdoing or for the fun of beating. It is unarguably known that some women could be highly irreverent for whatever reason, but beating up a woman is the worst thing that can ever happen to womanhood. I really wish for that day when men will create a kingdom in their hearts and overtly make their wives their queens and not baby factory and bed mate. God bless the women.